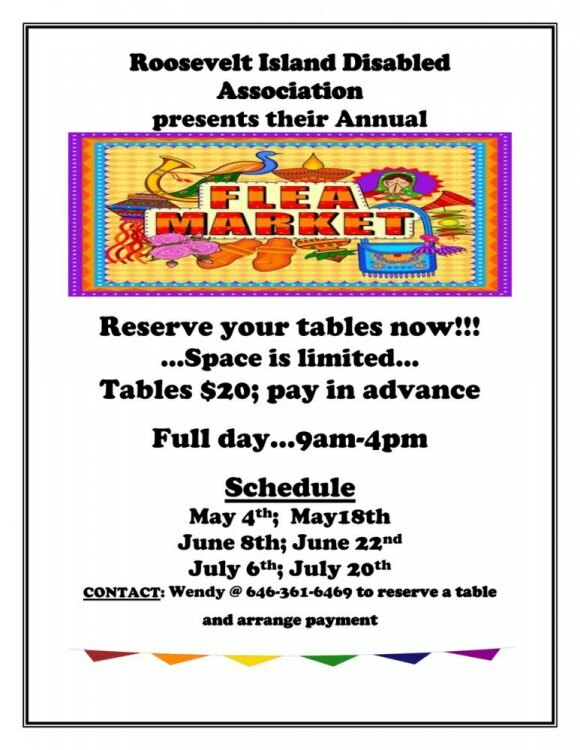 From spring into summer, each year, the Roosevelt Island Disabled Association raises funds by setting up flea markets in Good Shepherd Plaza. Tables are available for 2019's opener on May 4th. Like to have a table to sell your stuff? Call Wendy at 646-361-6469.